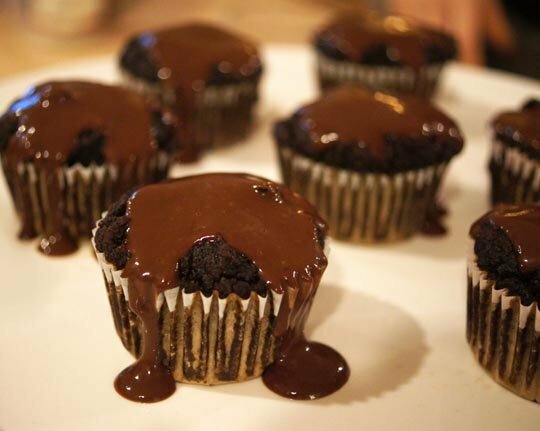 Miscellanous » Cupcakes and Ice Cream and Puddings, Oh My! Cupcakes and Ice Cream and Puddings, Oh My! It was a decadent day over here with Doris. Then got to work on making lunch! 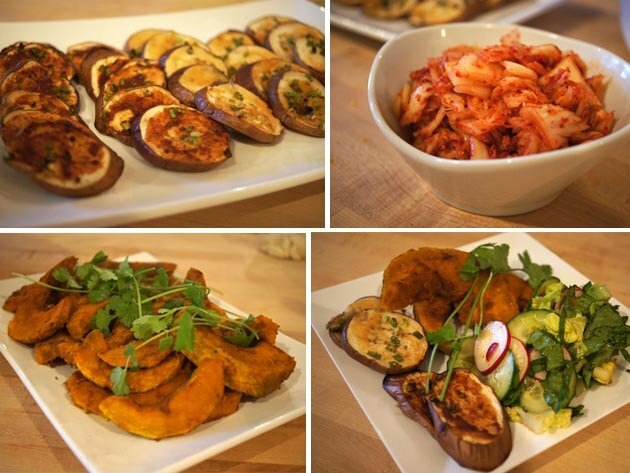 Miso-Roased Eggplant, Raw Kimchi, 5-Spice Roasted Kabocha Squash, and fresh salad with a Scallion-Soy Dressing. And if that weren’t enough, we finished the meal with a Ginger-Yam Pudding! 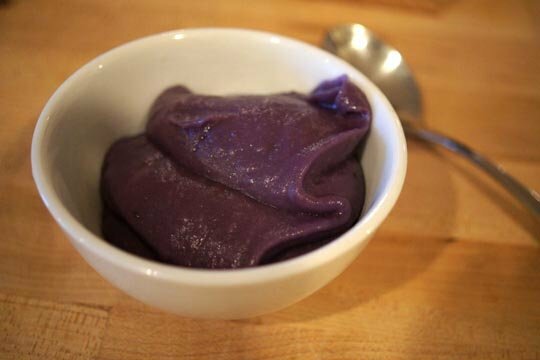 This pudding gets its vibrant, purple hue from Japanese purple yams– and it may be the best thing that I’ve ever tasted. Moving on… next up was fish! 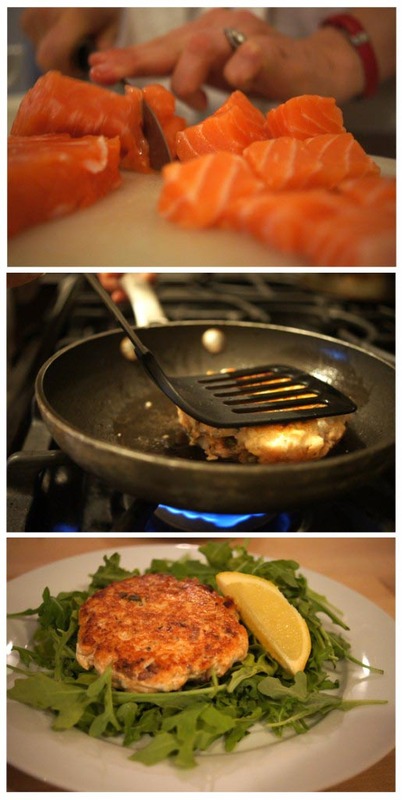 I learned how to make a quick, simple Salmon Burger. I’m usually pretty intimidated by cooking fish, but Doris made this so easy, I’d be happy to make these on a regular basis! They’re seriously fool-proof. 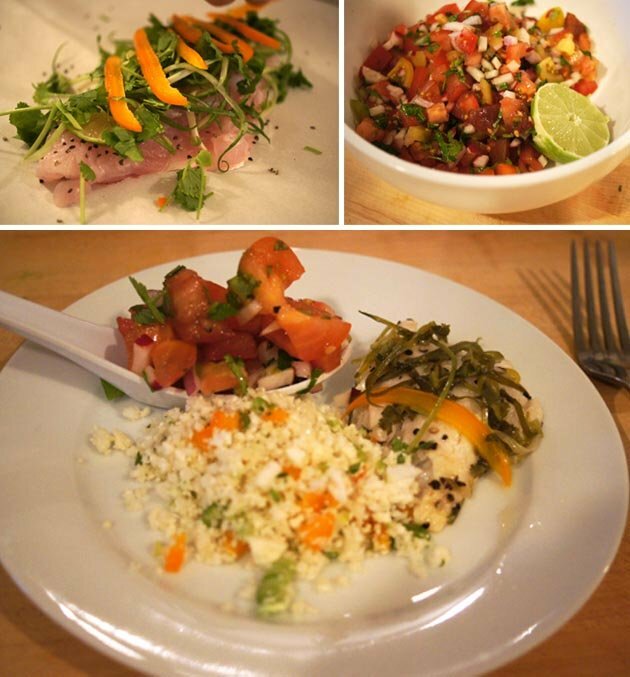 We also made a Mexican-themed Red Snapper dish, with fresh salsa and cauliflower rice! Once we got the fish out of the way, it was back to the important stuff–> desserts! …to creamy, veggie-based ice creams! This Kabocha Squash Ice Cream tasted just like Butter Pecan Ice Cream!! With a drizzle of maple syrup and a dash of sea salt, we were all in heaven. 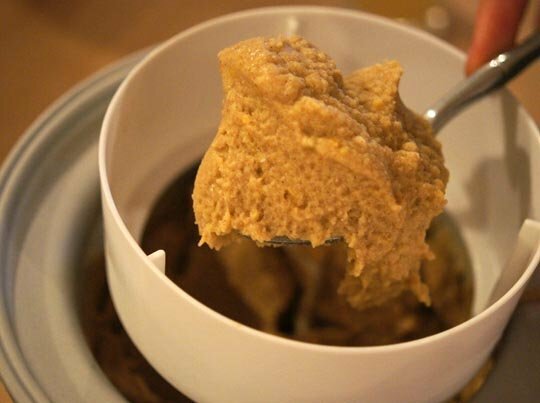 And, as if we weren’t soaring on a sugar-high already, we made a variety of agar-based puddings! Doesn’t the last one look like traditional flan? It’s actually squash-based, and tastes ridiculously decadent. By the end of the day, we wanted to try creating some NEW recipes with Doris. We had discussed trying a vegan cauliflower flatbread, using agar as an egg-substitute, but it failed miserably. At least now we know, agar does NOT work as an egg substitute in baked goods. Luckily, one of our new creations DID work! 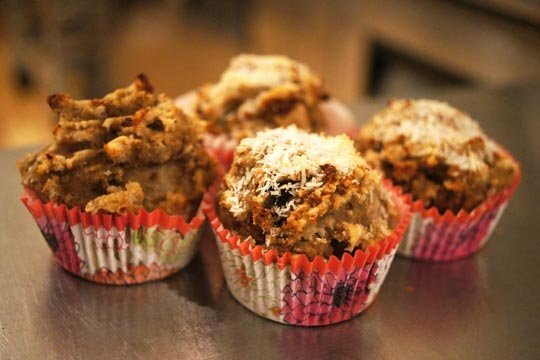 Vegan Banana Coconut muffins! This was my first time using coconut flour, and I loved how they turned out. Though our cooking class is over, I can’t believe how much we’ve learned, even in so little time. 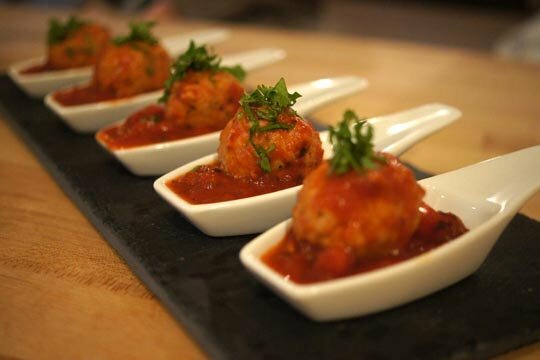 A brilliant chef, Doris truly knows how to make delicious meals, without making them overly-complicated or daunting. I wish there were more chefs in the world like her, so that we could all be eating this well all the time! Luckily, now we can ALL have the next best thing–> you’ll be able to try your hand at some of these detox-friendly meals in your own home! Doris has given me permission to share some of her recipes here on the blog! Wow!!! Ok doing this cooking class with Doris is officially on my GOAL list. She can do some amazing things with the detox diet!!! I vote for sharing the pizza crust recipe you blogged about yesterday. Thanks for sharing. thanks soooo much for sharing these! I have to take her next class. Hope you can join us all next week on Saturday again at 4pm. We had such a great time meeting each other at cafe gratitude last week. I will definitely stay tuned! Thank you so much for sharing, YUM! 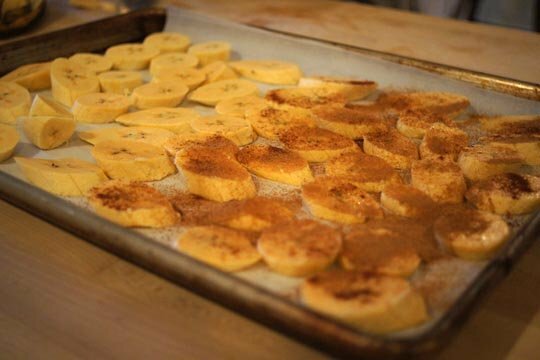 Coconut flour is the BEST! The photos look better and better each day! Im excited that you will be able to share some of these recipes! They all look so delicious! WOW! Everything looks so amazing! 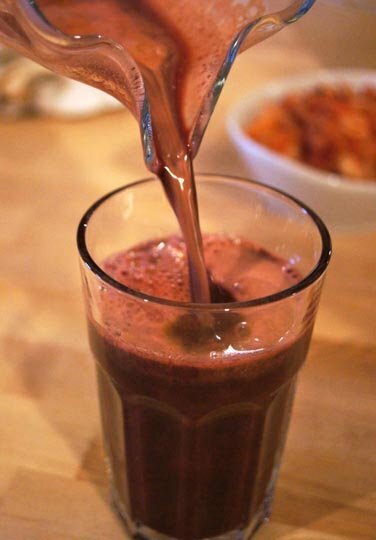 I’m also doing the Rose Cleanse and wondering if Doris shares these recipes anywhere in the detox community or can we get these delicious recipes only if we take her class?? I’m drooling and oh, so envious!! 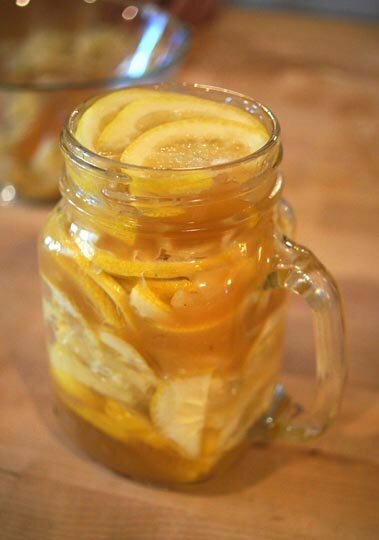 Keep up the great work on the Rose Cleanse! Could I be more immature? Except you’ll miss me when I’m gone.